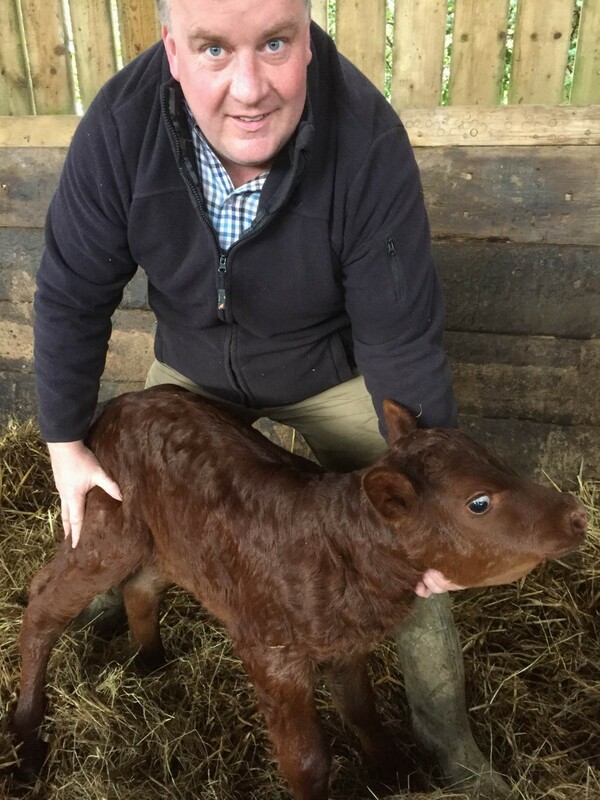 The Coopers Farm team is relieved and pleased to announce that the final calf of the season has survived after a difficult birth whereby the calf was stuck in Mum. The heifer in question had been in labour for a number of hours and it was noticed that she was not progressing the birth of the calf. Once it was noticed that the Mum was exhausted and unable to continue Michael stepped in with help from Chris and Freddie to pull out the calf with the help of calving ropes. At first glance it look dead then suddenly the calf took its first breath. It was then a race to get the calf dry and warm. Unfortunately, the Mum was also exhausted and was unable to help the calf as they normally do. The calf also had fluid on the lungs and between Freddie and Michael the calf was held upside down and the calf massaged to release the fluid. Thankfully, the calf reacted and coughed up a load of fluid. This gave it a fighting chance but it was extremely weak. We moved it to a calving pen along with Mum who was shaking from the trauma. The Mum had shown no interest in the calf. It was therefore decided by the team to dry the calf off and get some emergency colostrum into it to give the calf a fighting chance. The calf reacted positively but was still too weak to get up on its feet. It was then down to a rotation of checks through the night to check on both Mum and calf. At the midnight feed the calf had 1.5 litres of colostrum and Mum had calmed down but was still not interested in the calf. At 5.30am the calf was hungry and had become strong enough to get on its feet. This allowed Michael to direct the calf onto Mum’s teats and take its first drink of natural colostrum. Thankfully the Mum had calmed down and the calf fed naturally for about 30 minutes. Michael left Mum and calf alone. At the 8.30am check the calf appeared to not be hungry and Mum was having food. As you can see from the video if was not for the quick intervention then there is a very real chance that the Mum and the calf would have died. Thankfully, that was not the case and we can report that Mum and calf are doing fine. But the calf is massive! !